Everyone loves a good Dump Cake recipe! 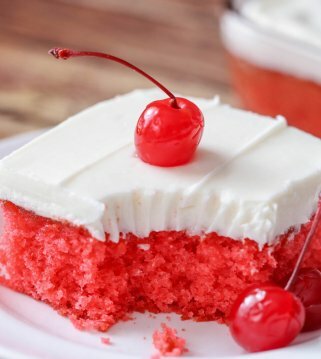 This Cherry Dump cake recipe is filled with cherry pie filling, crushed pineapples and is topped with cake mix, walnuts and butter! 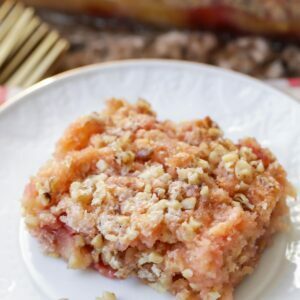 This Cherry Dump Cake (similar to our famous Pumpkin Dump Cake) takes just a few minutes to put together and just a few minutes to gobble up too! I’m more of a chocolaty-dessert-type person, but every now and again, I like something fruity. This dump cake was perfect for my tastes buds. 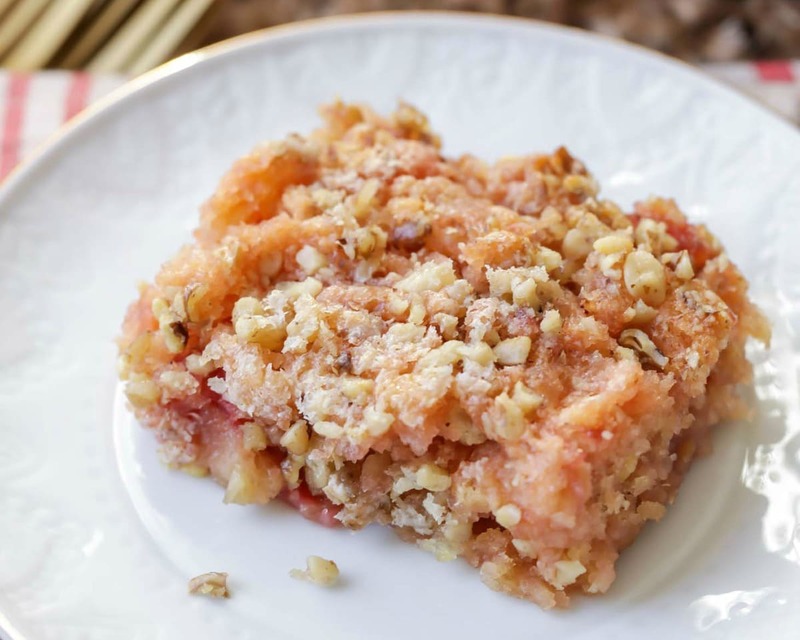 I loved that the walnuts added a little crunch to each bite and that the fruits were the perfect combo. 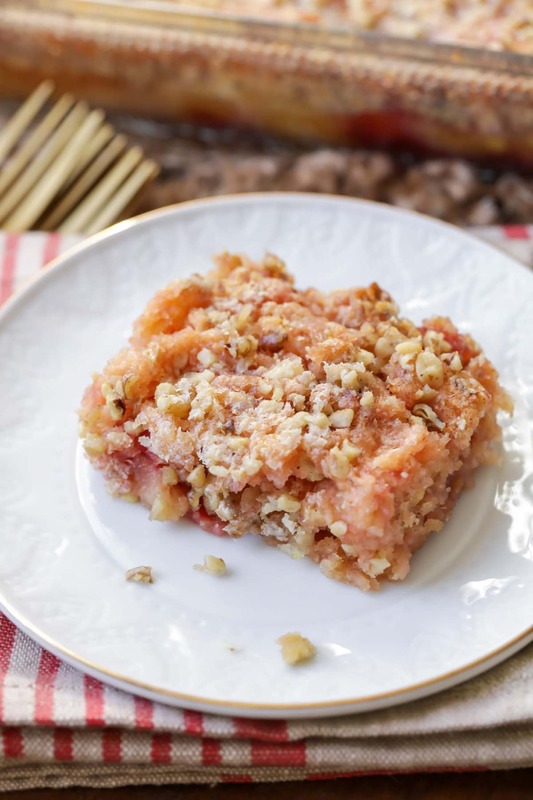 My husband’s favorite desserts is this Peach Cobbler, so this dump cake recipe was right up his ally. Whenever we have someone for dinner, I like to find a simple recipe because I’m usually spending more time putting together the actual dinner. 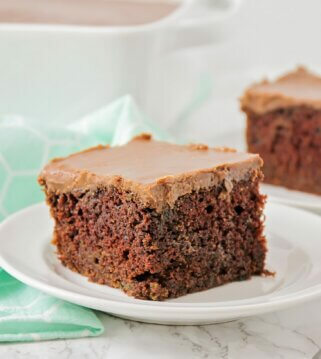 Recipes like this one are perfect, because you literally dump everything in the pan – give it a stir and then stick it in the oven. 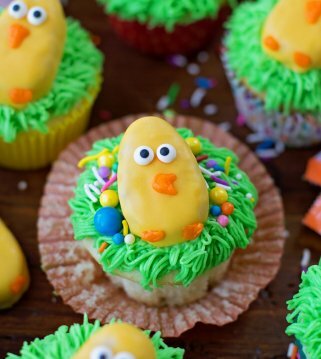 So easy… and definitely a crowd pleaser! 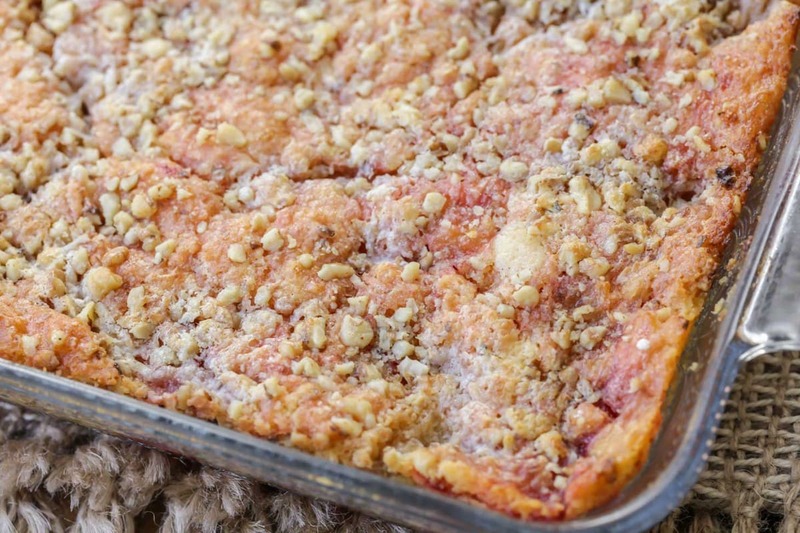 Mix cherries and pineapple in a 9×13 pan. Sprinkle dry cake mix over pineapple and cherry mixture; stir until just combined. Cut up butter in thin slices and place all over the top. Bake at 350 for 35-40 minutes or until golden brown. Enjoy warm! I think the fruit lovers in your life will definitely love it too. Try it out and let us know what you think. We can’t wait to try other dump cake versions! 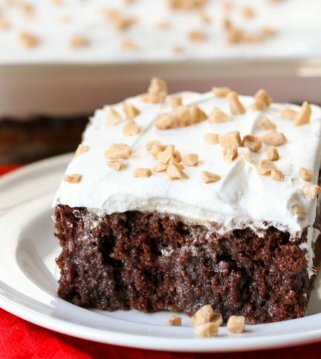 Everyone loves a good Dump Cake recipe! This one is filled with cherry pie filling, crushed pineapples and is topped with cake mix, walnuts and butter! 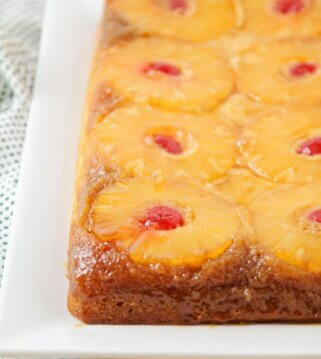 Mix cherries and pineapple in a 9x13 pan. Sprinkle dry cake mix over pineapple and cherry mixture; stir until just combined. Do you drain the pineapple? Sounds delicious! No, it adds the liquid you need 🙂 Hope you like it!! for. But can’t find it anywhere. 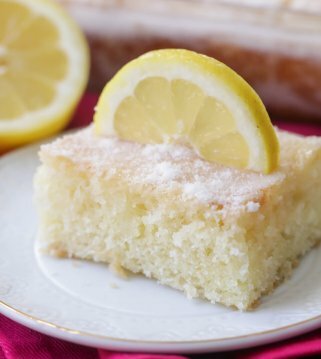 Was it this one….https://lilluna.com/snickerdoodle-bread/? I hope so! It’s a good one! Thanks so much I can’t wait to try this at an event in my park. hey girl- this cake looks so good! Thanks Shawna! It was so delicious!